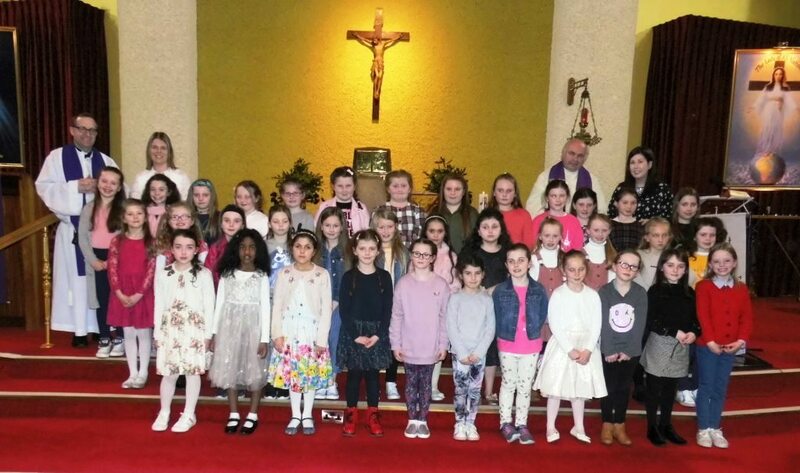 Congratulations to the 36 girls from 2nd Class who received the Sacrament of Reconciliation in the parish church last night. The girls were an absolute credit to their families. Well done all!! This lovely occasion would not have been possible without the hard work and preparation of Ms. Walsh and Ms. Fitzmaurice who have been busy preparing the girls over the past few weeks. Thanks to Fr. O'Donoghue and Canon Fitzgerald for joining us for the ceremony and to Ms Watson and Mr Wallace who provided us with the beautiful music. Sincere thanks to everyone who helped to make the night such a special event. Roll on May the 19th!! !